The pressure to test code quickly to develop software and deal with today’s more advanced and modern deployment workflows is not being met by legacy load testing applications, preventing many companies from being able to digitally transform in order to compete. 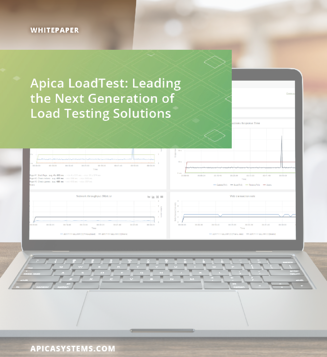 This white paper is designed to assist you in determining if Apica LoadTest may act as an efficient supplement to your current LoadRunner solution, helping you to decide whether it can enhance your load testing ability, while saving you money and helping you avoid risk. Why companies that are serious about digital transformation need to look to new solutions and infrastructure to handle the volume of tests required to make digital service improvement a priority. How to utilize the DevOps model of testing, while giving teams the ability to quickly test up to 2 million concurrent virtual users to measure the high traffic impact on websites and apps, from any location globally. Case study: Learn how a Tier 1 bank, who had used LoadRunner for 10 years, created a CI/CD project using Apica LoadTest to reduce costs and improve efficiency throughout the whole development lifecycle.